After a great dinner at the ESPN bar, my friends and I headed over to Downtown Disney for some shopping. While we were there, my sweet tooth woke up and started bothering me for something to satisfy him (shocker right?……NOT!). 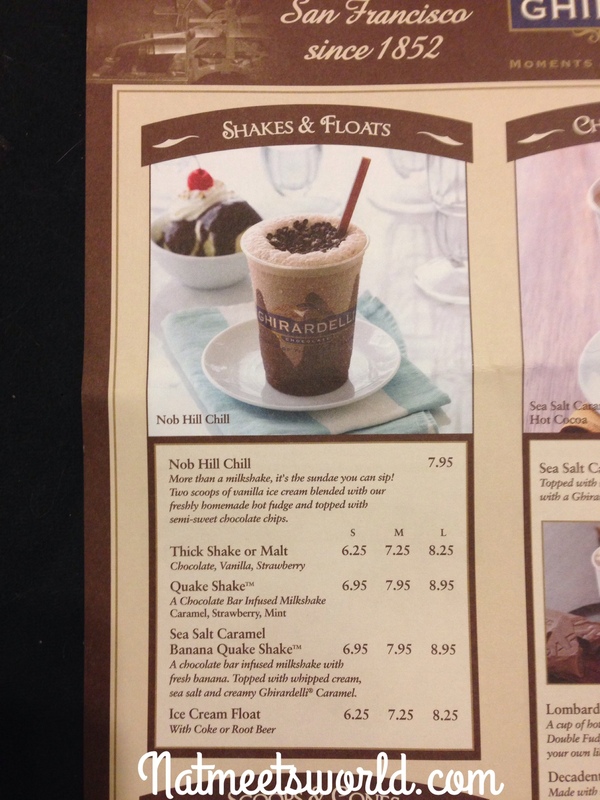 Thank goodness Ghiradelli was there to save the day! 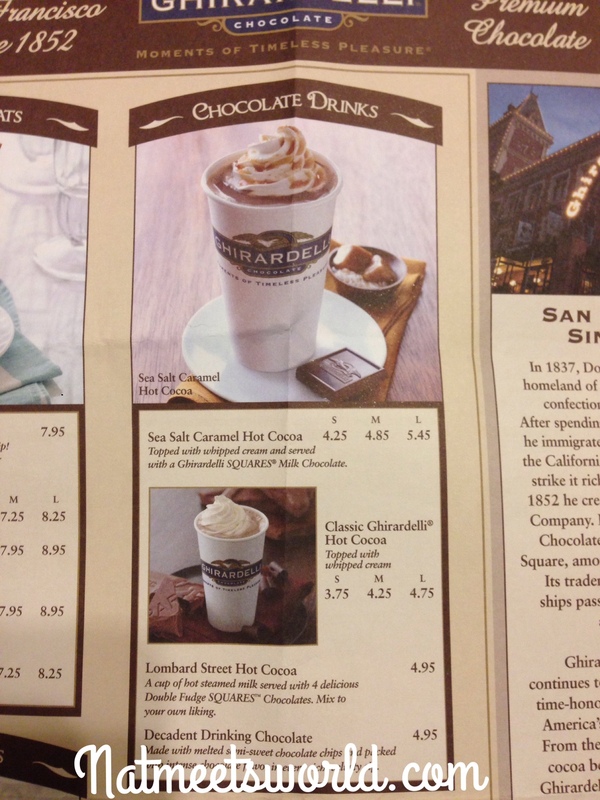 I am always up for some Ghiradelli chocolate……in fact, I’m always up for any chocolate. 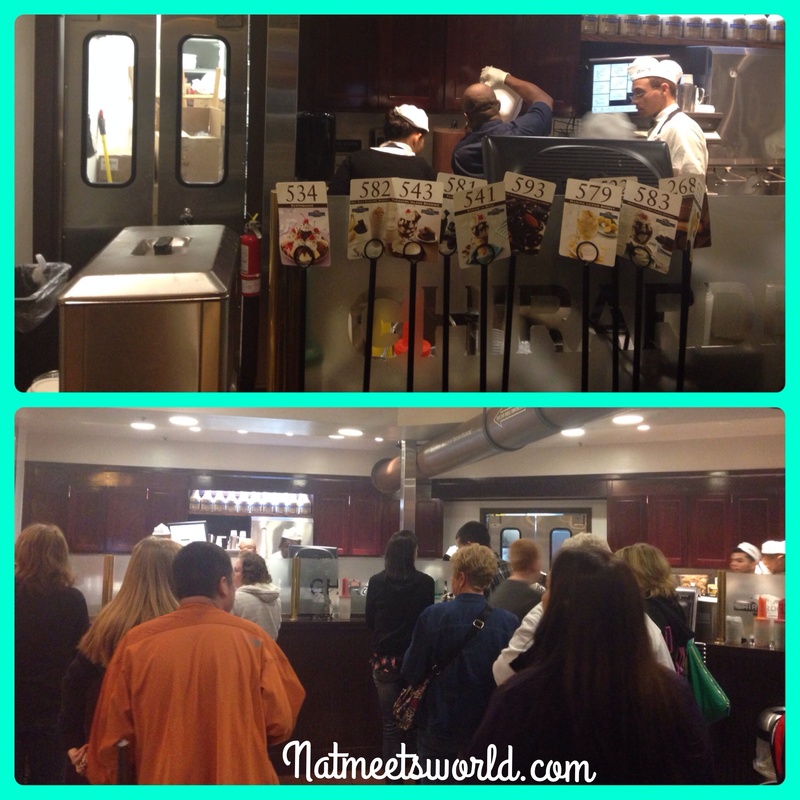 What I really like about this location is that it is located on the east side of Downtown Disney, where there is a D.J. that plays great mixes outside. 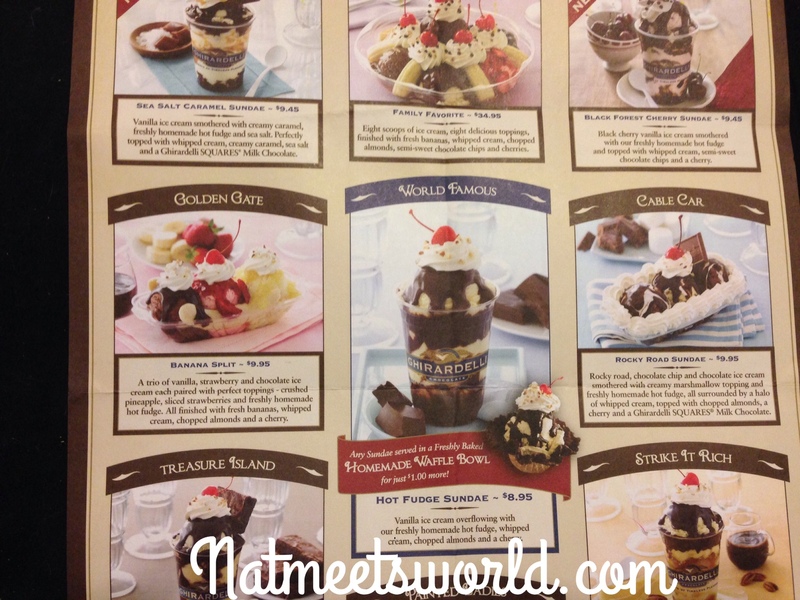 While you enjoy your dessert, the little love bugs can boogie with the music, and they are in eyesight of you. If you prefer to enjoy your treat in a quieter area, you can opt to eat indoors. As you can see above the outdoor patio is usually always pretty busy. It’s really nice to sit outside and enjoy the festivities, lights, and people. There is no way you will be able to choose on one item immediately. I kept choosing different treats because they all looked so scrumptious! 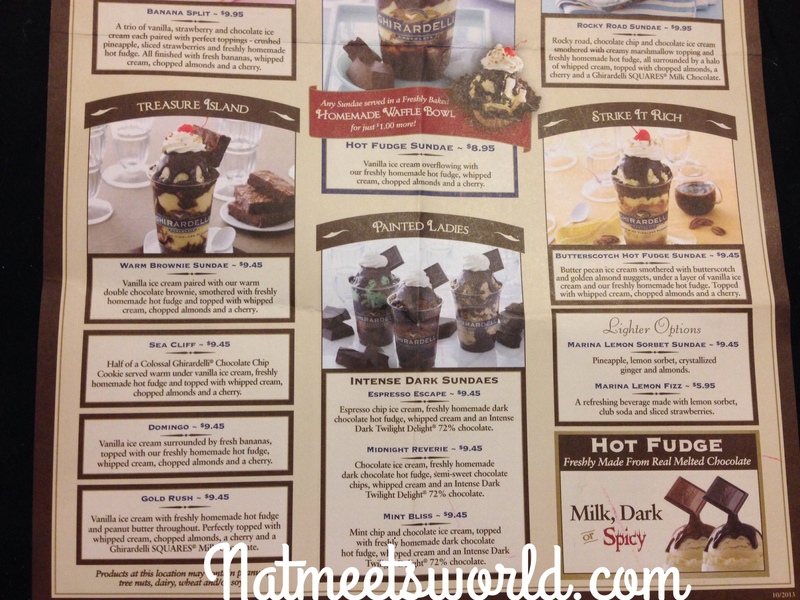 From shakes to elaborate sundaes and hot coffee/chocolate, I’m sure you will find something to satisfy that sweet tooth. 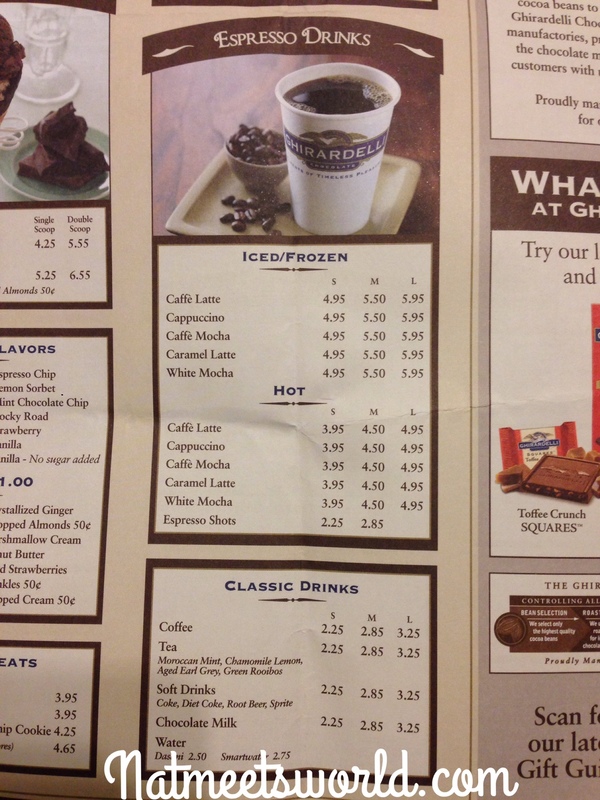 Below are the menu options that Ghiradelli offers. I was kind of surprised at how fast we received our order considering the amount of people waiting to receive theirs. 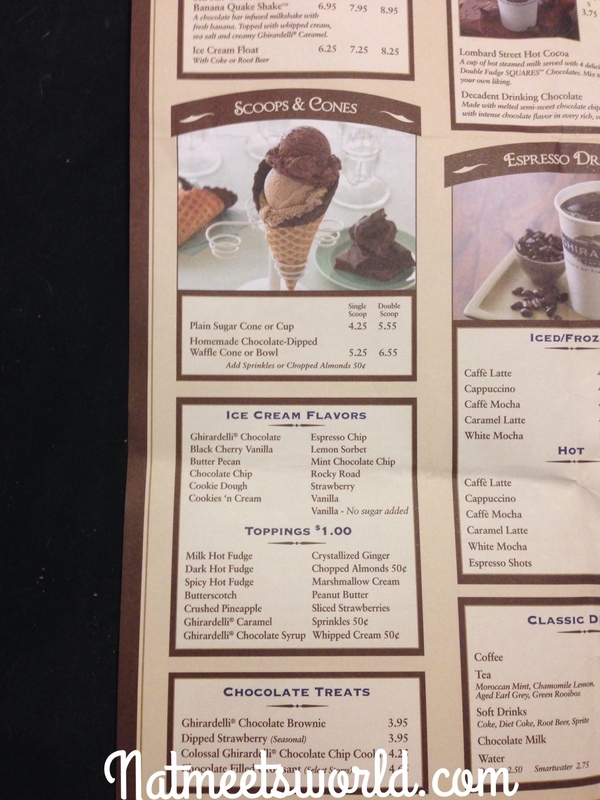 If you order a large treat or several items, you are given a number (top picture) and it is delivered to you. Otherwise, you simply wait until your order number is called. I also felt the prices were reasonable, however, if you are with a large party, it can be expensive. 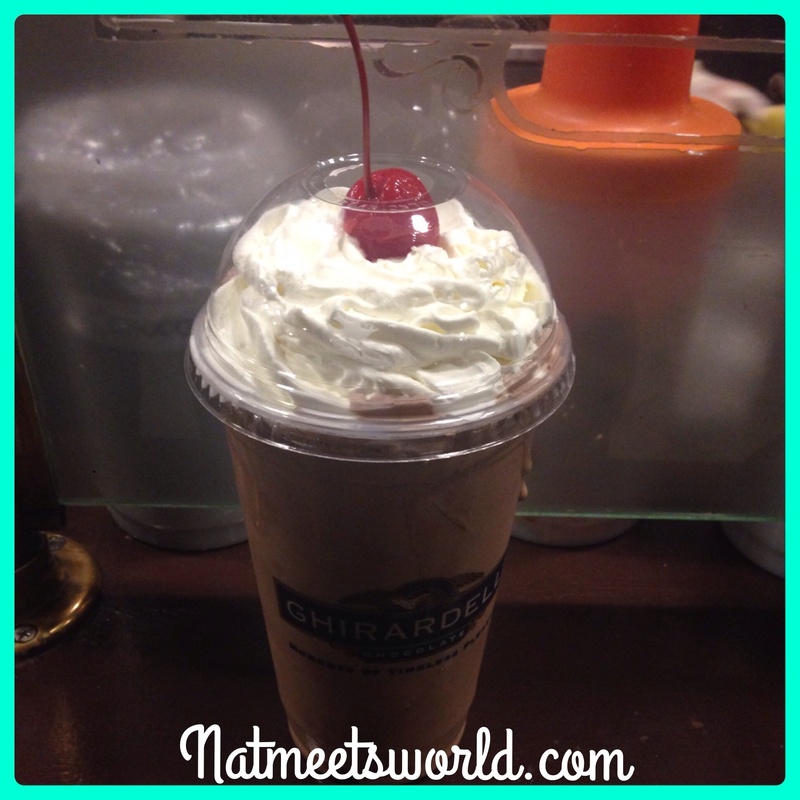 After pondering for 10 minutes on what I wanted, my hunny and I decided on a thick chocolate milkshake. It was absolutely amazing! 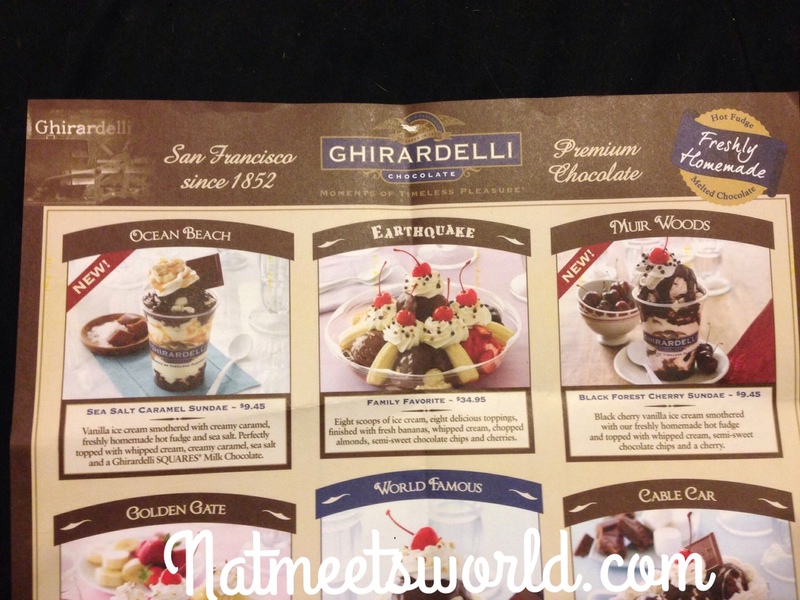 Overall, I feel Ghiradelli never disappoints and the prices are worth the quality of the product that you are getting. Deal Alert: Annual Passholders receive 10% off your total bill when you present your pass to the cashier. 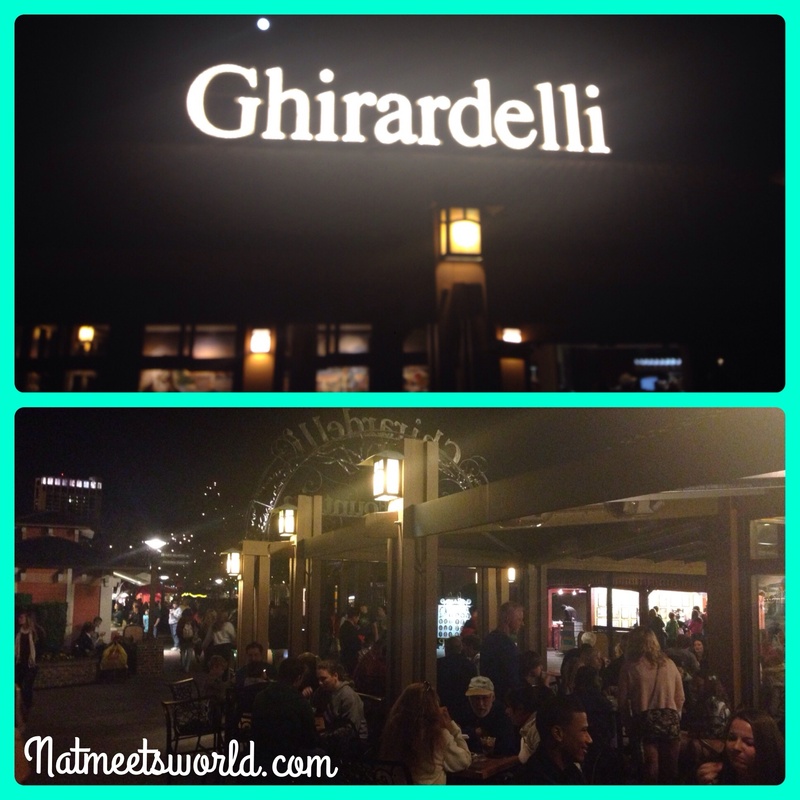 Next time you’re in Downtown Disney, check out Ghiradelli! If you have been there, what did you think? Comment below!